The finale of season 6 of possibly the most popular TV show of all time, concluded recently, and we are still reeling from everything that happened. But don’t worry, this article is not meant to ruin your life with spoilers in case you haven’t watched it. One of the most constant sources of intrigue for us since the beginning of the show is the on-point hair game that the characters have going on. Not only are we obsessed with all the characters, but also the Game of Thrones hairstyles which have convinced us that should we be able to look that good, we too can sit on the fricking Iron Throne. We have some really good news for you. 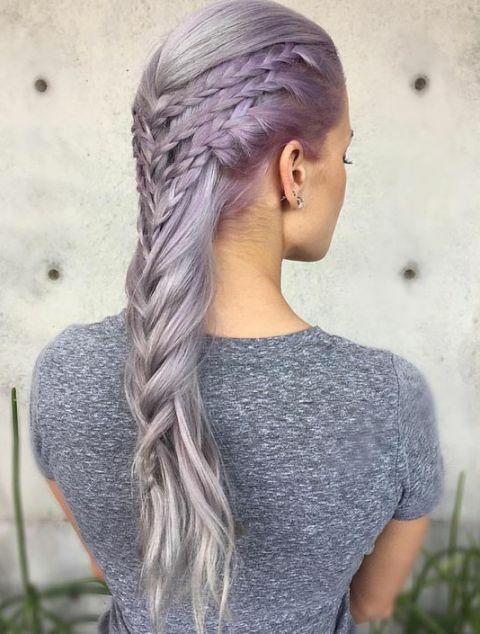 You too can look like you were signed up for some serious bad-assery with these Game of Thrones inspired hairstyles, which are not only stunning but also super easy to execute. 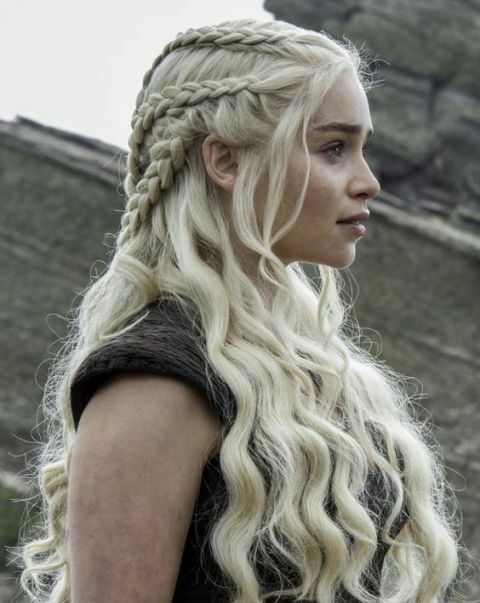 It is imperative to start the list with Khaleesi who is not only Mother of Dragons, but also master of a fabulous hairstylist, and has been consistently giving us hair goals throughout the show. 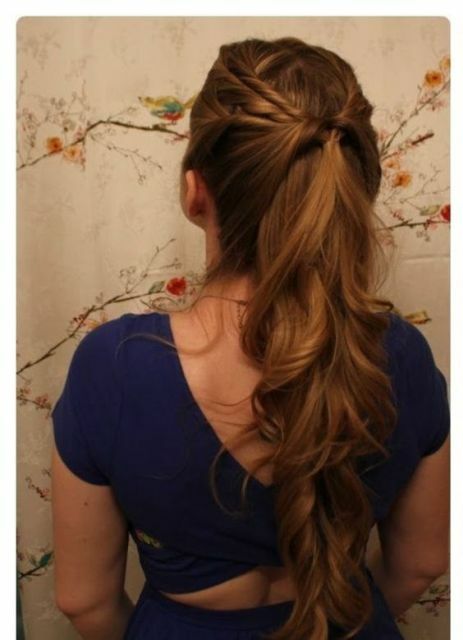 This twisted half updo is her signature style, which you can achieve with two ponytails that have been twisted inwards. Also, brownie points if you have platinum blonde hair for added authenticity. 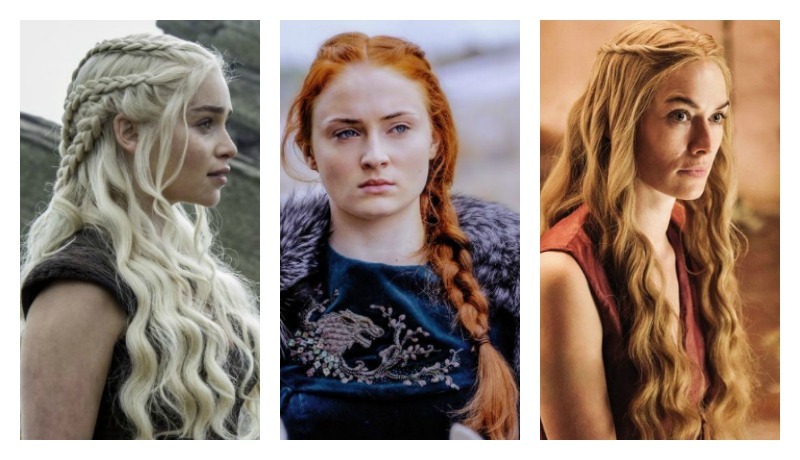 We know for a fact that half the reason we envy all Game of Thrones hairstyles is because their braid game is way too strong for us mere mortals. However, that isn’t the case anymore. 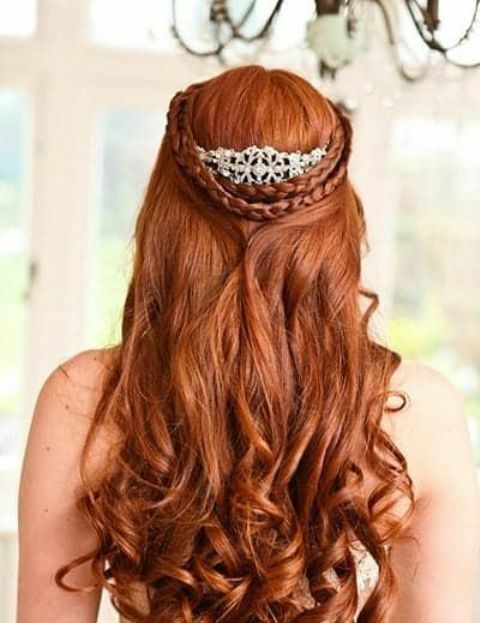 A three-braid crown can make you look like you were a royal too. 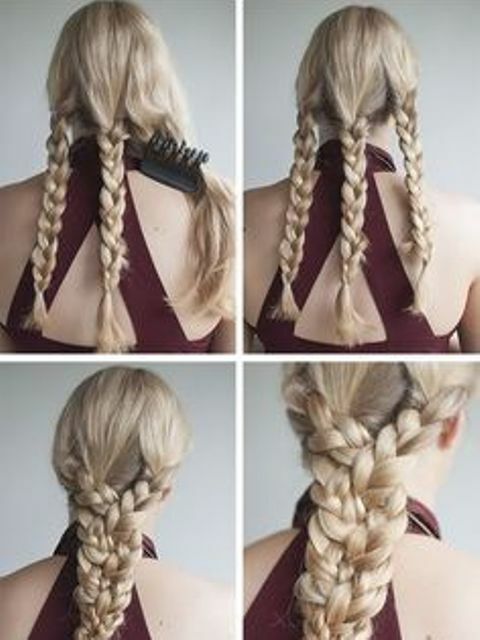 All you need to do is make three braids on either side of your head and bring them together at the back, starting from the top and integrating it into the bottom braid. The most satisfying thing in the world is to do something which requires very little effort, yet get results which are grand and enviable. This hairstyle from the Game of Thrones is a perfect example of such things. 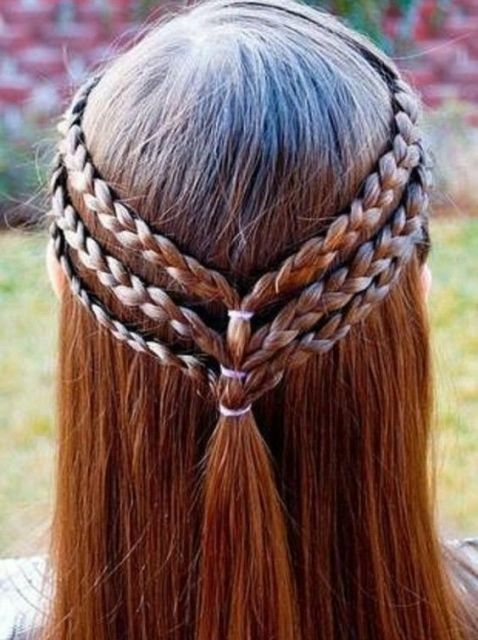 Three separate braids which you make starting from the crown of your head, merge together (after you open the middle braid and incorporate that section) for two resultant braids to emerge. This is probably one of the easiest, yet most intricate-looking Game of Thrones hairstyles you will be able to execute on your own. All you have to do is divide your hair into three sections at the back of your hair, so that you have three braided sections for the resultant braid, making it look more complicated than it actually is. Please don’t worry, the incredible Celtic knot which so many of the characters have been seen to sport, only looks intricate. However, you too can look like a badass huntress or a princess, with just a couple of carefully placed fingers and a single strand of hair pushed through the right loops and absolutely no extra accessories for your tresses. We’ve all seen it, we’ve all lusted after it, but now we too can have this gorgeous half ponytail updo made famous by the character of Margaery Tyrell. If you look at it closely, all it consists of is three sets of twisted hair strands which go from either side of your head to the back, and just before they are tied together, a fourth set of twists from behind the ear rolls in above the point where the twist conjoin. Here is Khaleesi, looking as queen-like as ever, and giving us all the inspiration we need to look just like her. This hairstyle too is easy to accomplish, with three non-parallel French braids, in varying degrees of tightness for the ridged effect, running on either side of your head. All these can either be left open ended, or bobby-pinned together at the back of your head. This hairstyle is inspired by the hair goals provided to us by none other than Sansa Stark. 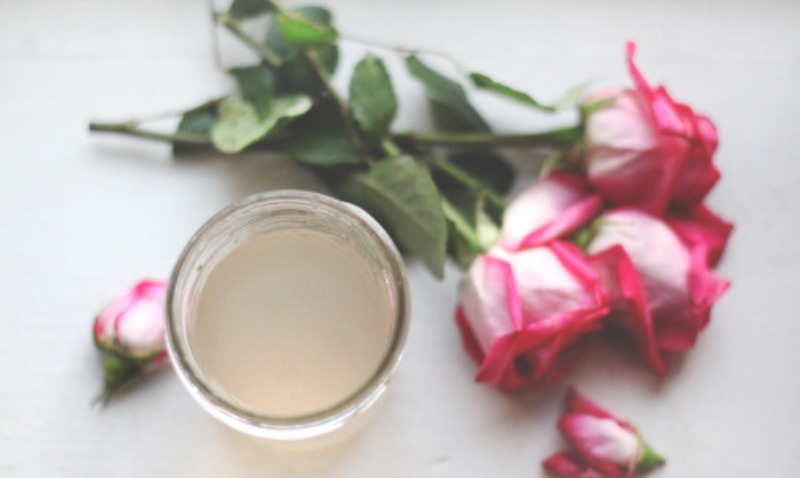 Although it looks all royal and regal, the actual hairstyle is a really simple DIY deal. You start with French braiding two sections from either side of your hair and then stop right behind your ear and continue to braid normally. These two braids meet at the back of your head, which leads to a long ponytail. 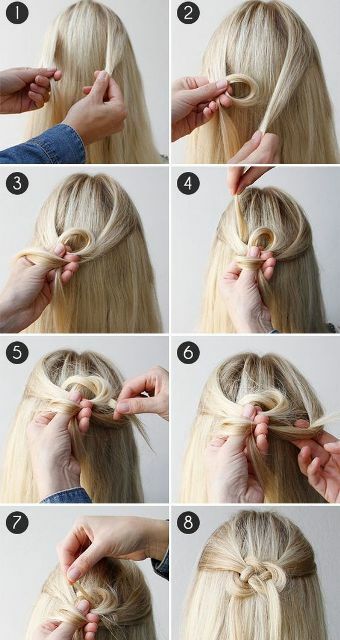 You repeat the process from a little lower down till the next two braids meet the ponytail and tie the ends to it. 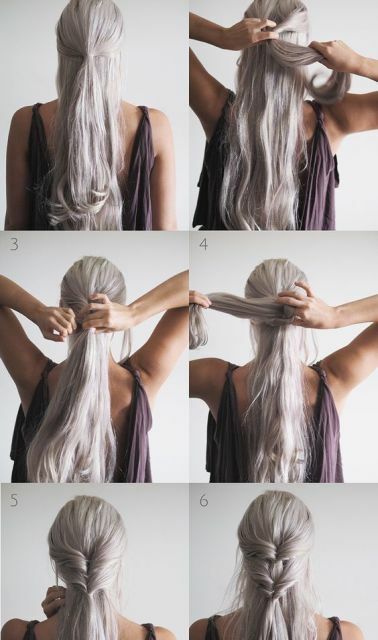 The best thing about this hairstyle is that it literally takes you minutes to execute, but the results are stunning. Okay, that is the deal with all these gorgeous hairstyles but I’ve taken a particular fancy to this one. 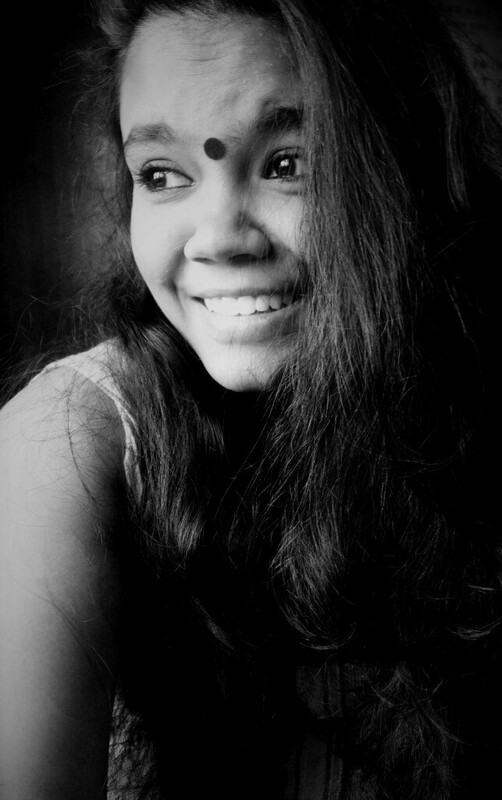 Two sets of loose hair twists join at the back of your head, and to give added depth, they are inverted through the gap between your scalp and your rubber band. The remaining hair from the twists emerging from the rubber band is tied into a teased fishbone braid. After checking out quite a number of Game of Thrones hairstyles, it has been established that the most gorgeous hairstyles are nothing but intelligently crafted braids. This one is no exception. Three half French, half normal braids are tied together, which lead to a larger, teased and open ended simple braid, making you look like a Medieval badass frankly. 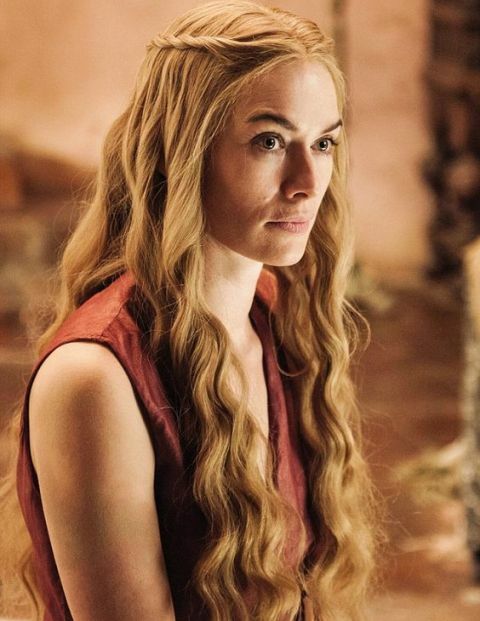 Cersei Lannister’s hair game is pretty strong on the show. However, this hairstyle is something we can identify with, pull off, and wear everywhere, and still look as cool as she does. Legit, all it consists of is a couple of twisted sections of hair, worn like a crown, atop a cascade of beachy waves. So much win and so so easy. Even though her hairstyle is basic, we can’t help but want to re-create it because it is so simple and pretty. Also, it was on Game of Thrones, so we love it no matter what. 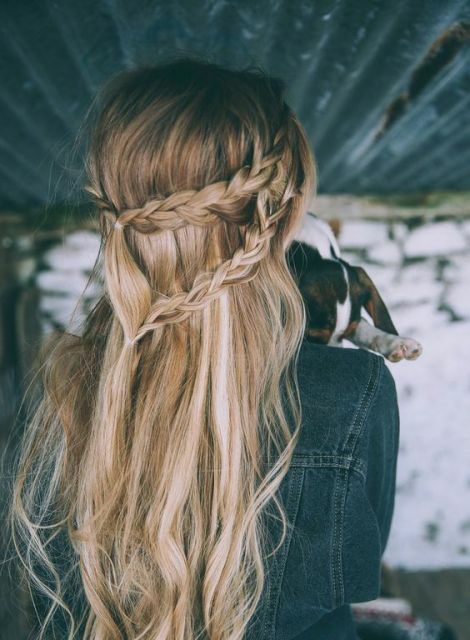 What makes this hairstyle so Westerosi is the fact that the twisted sections of the hair are pinned way high up, almost near the parting, which gives way to the basic braid (which can even be a fishbone braid). This is one of the most romantic hairstyles ever, and it is inspired by nothing less than our favorite TV show. Two braids have to be made, starting from either side of your head, and instead of crossing them from over your head, you have to cross them from the back, so that you can pin the braids under the opposite ear. A separate section is simply taken and pinned in the mid-section of the two parallel braids at the back of your head. Something like this would look perfect when worn to prom or to a wedding or any other party. 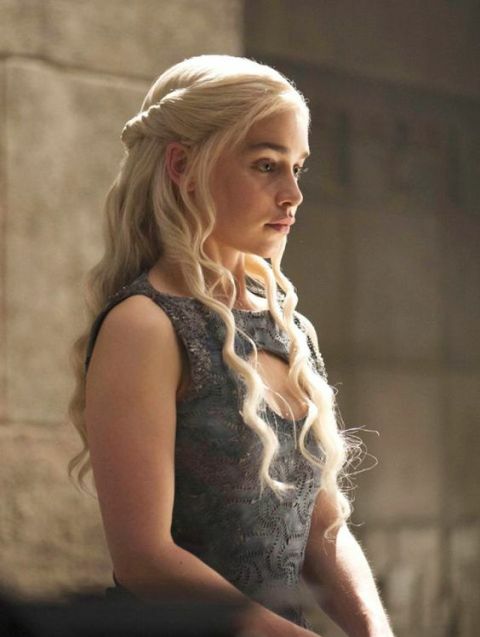 Daenerys has a plethora of twists and braids ready to give us all major hair goals. These twists are much bolder than the other simpler hairstyles that we have seen the Khaleesi sport. The French twists start from behind each ear and with every twist, you pick up more hair to give the twist volume. The rest of the hair is set into firm curls. 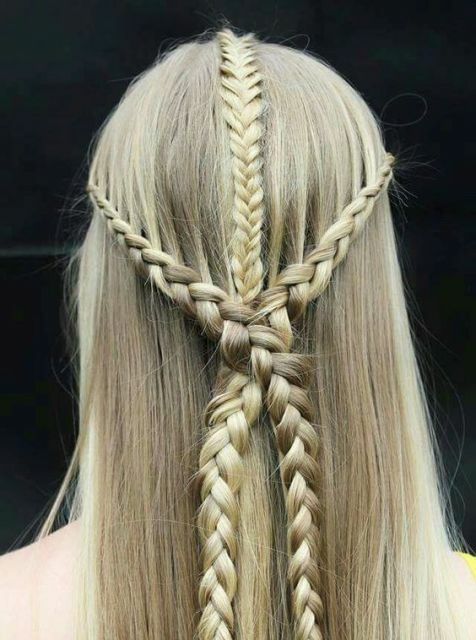 A waterfall braid is pretty famous and intricate, but it is made even more intriguing after it was used extensively on the sets of Game of Thrones for a lot of characters. 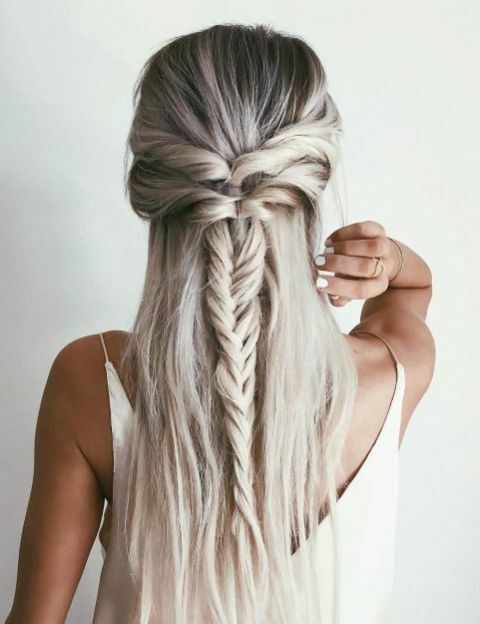 The trick to the right waterfall braid is to have a firm grip, and with every third twist in your braid, along with taking some more hair, you let go of one of the strands so that it falls through your braid like a waterfall. Because this one is messy, it is easier to hide the mistakes if you are a little clumsy at first. 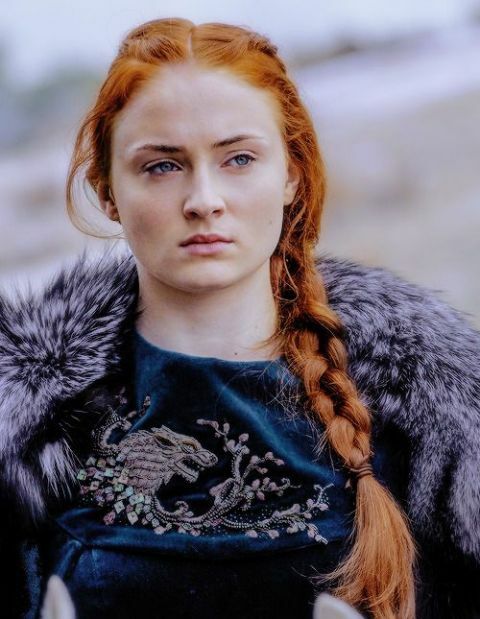 Braids that are high up on your head instead of at the back or behind the ear is a concept that has been made popular by this TV show exclusively, and especially used for the character of Sansa Stark. To bring out the Sansa in you, you can check out this hairstyle which is nothing but a couple of vertical braids running parallel to the rest of your hair (left open) and then simply twisted together at the back. 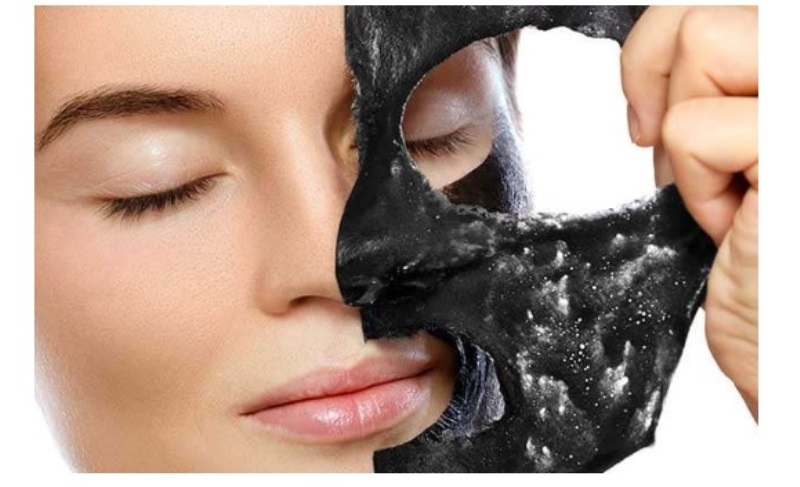 Not only does this look intricate, but it can be worn everywhere, and achieved with just a few of minutes of your time. 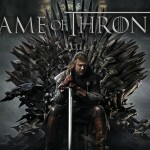 Game of Thrones, along with being one of the most intriguing TV shows of all time, has also set major beauty and hair standards, and even though almost all characters have enviable hairstyles, we can’t wait to try out these 16 Game of Thrones hairstyles in particular! 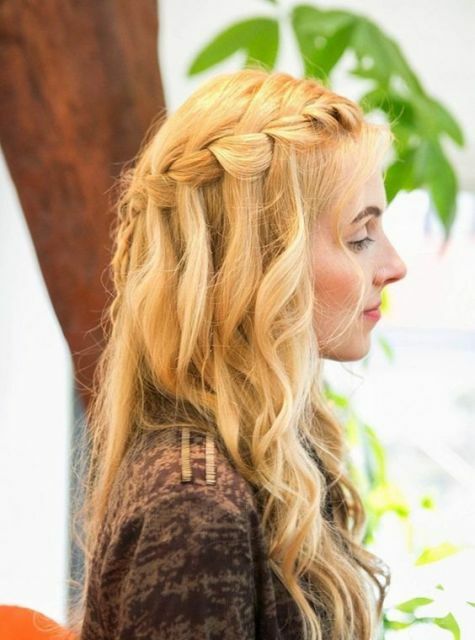 These Game of Thrones hairstyles only look complicated, but are super-easy to try! 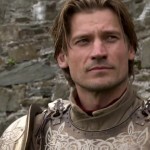 Check out some of the hottest GOT hairstyles! Emilia Clarke Named Esquire’s Sexiest Woman Alive!